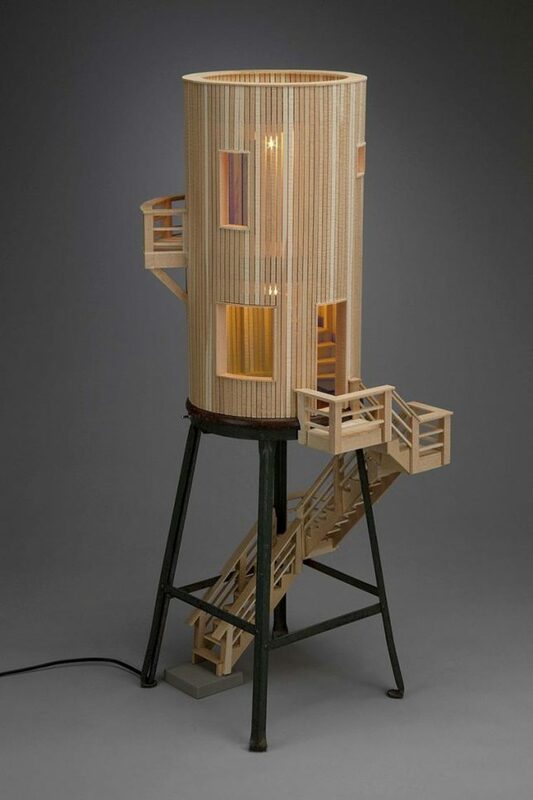 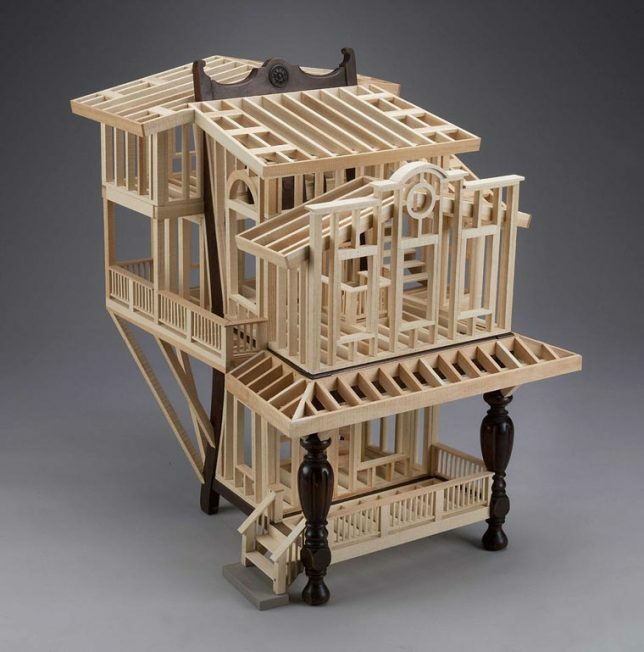 Fit for the most discerning fans of modern architecture, these dollhouses and other miniature architectural creations feature tiny moving parts, high-end designer furniture, swimming pools, built-in lighting and other fun details, rendered in astonishing realism. 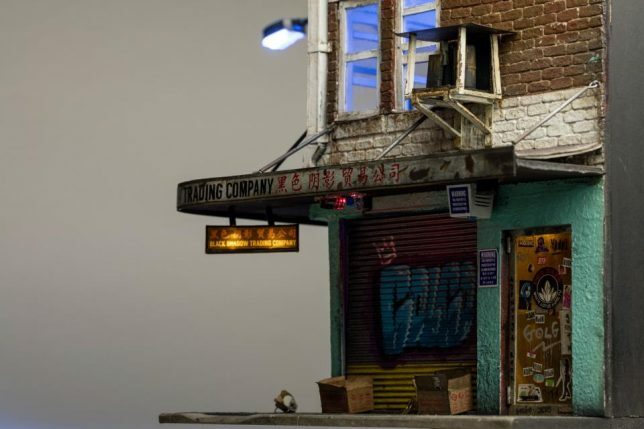 You’ll almost wish you could shrink yourself small enough to tour their often-fantastical layouts, which range from the luxurious to the gritty. 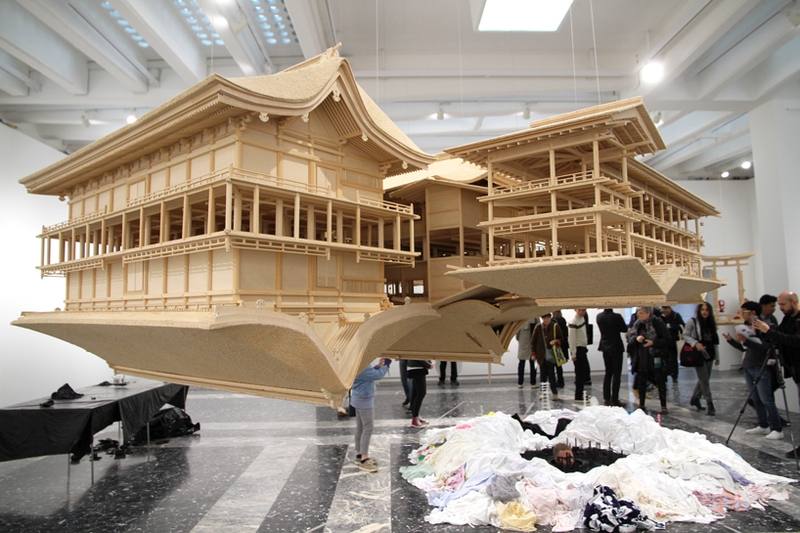 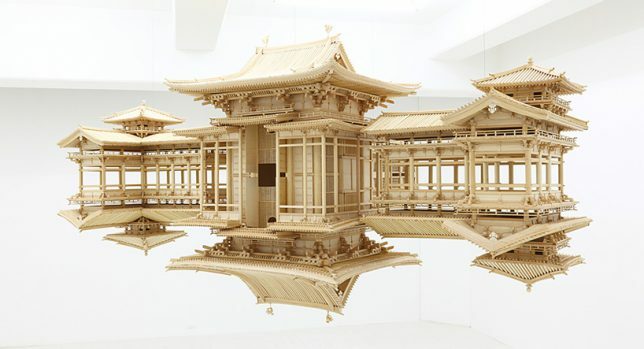 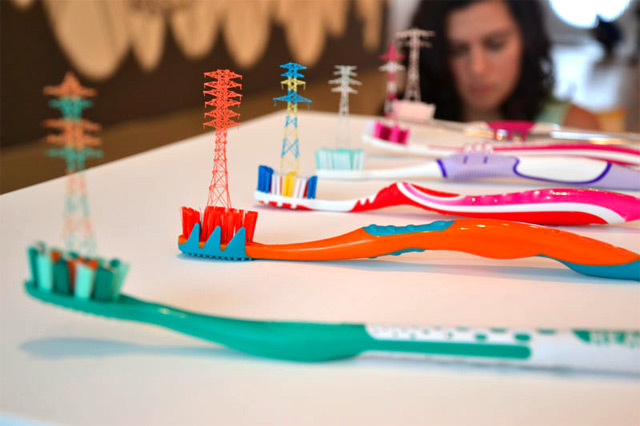 Japanese artist Takahiro Iwasaki makes mirrored wood architectural models and tiny towers made of toothbrush bristles, both in ongoing series inspired by the structures commonly found in Japan. 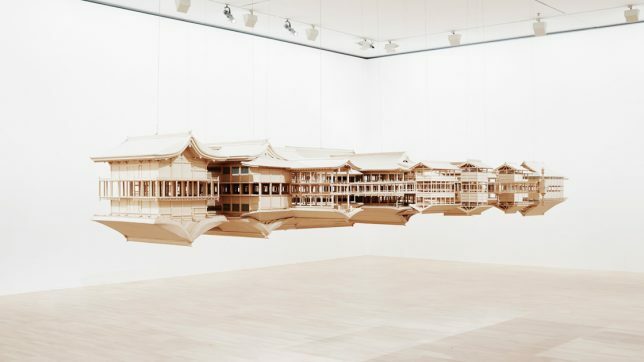 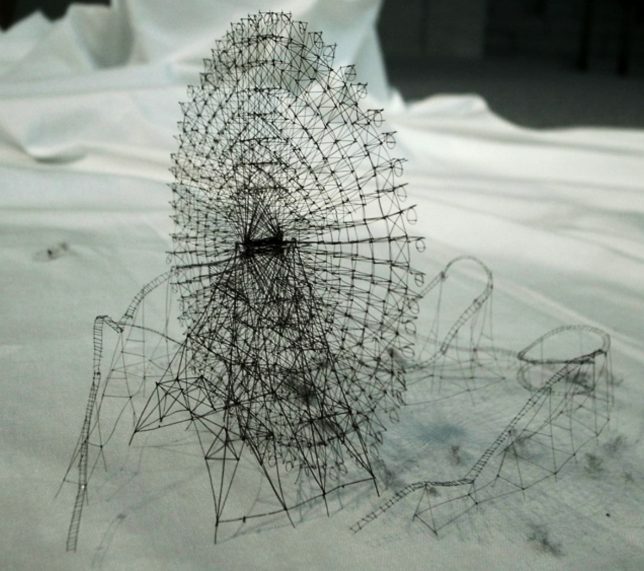 The artist says ‘Reflection Model’ is meant to show that everything can become vastly different depending on your perspective. 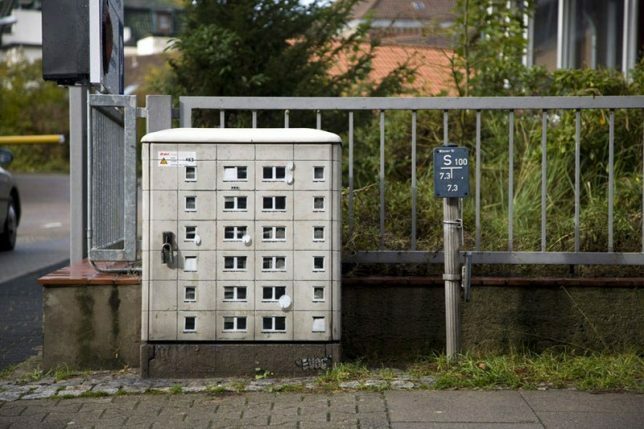 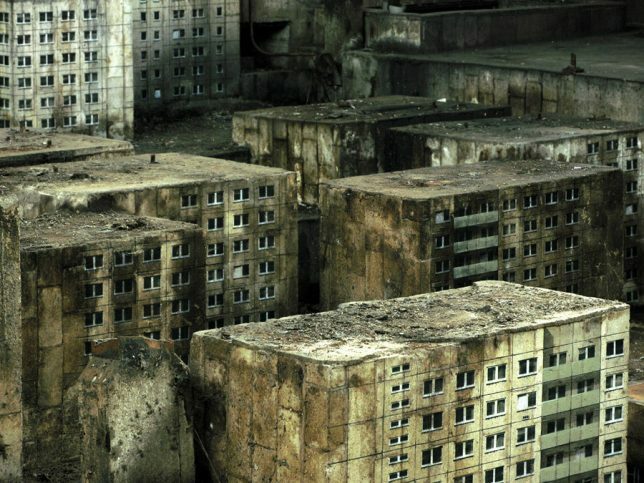 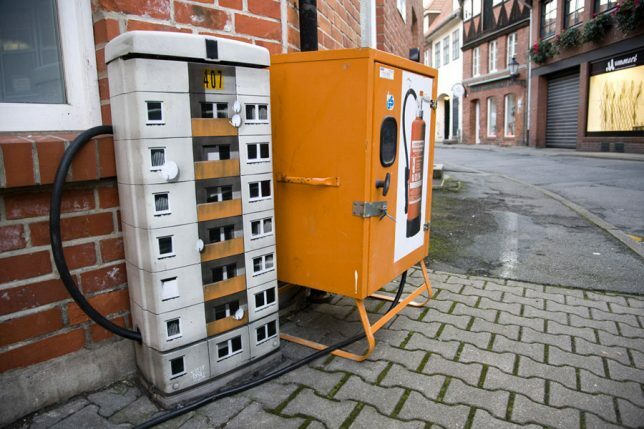 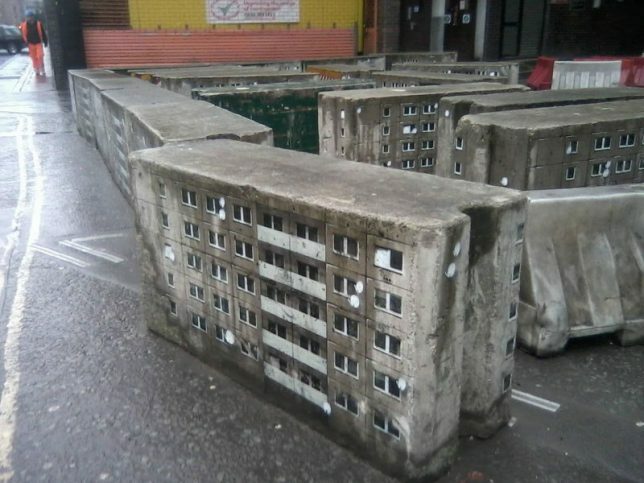 Grimy rectilinear urban objects become weathered, aging apartment buildings in the hands of street artist EVOL, who uses cardboard, stencils and spray paint to transform them into micro cities. 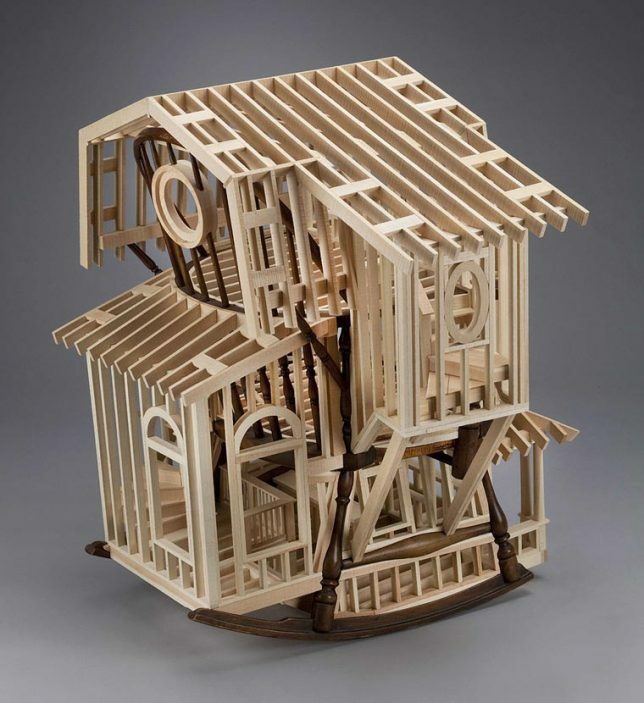 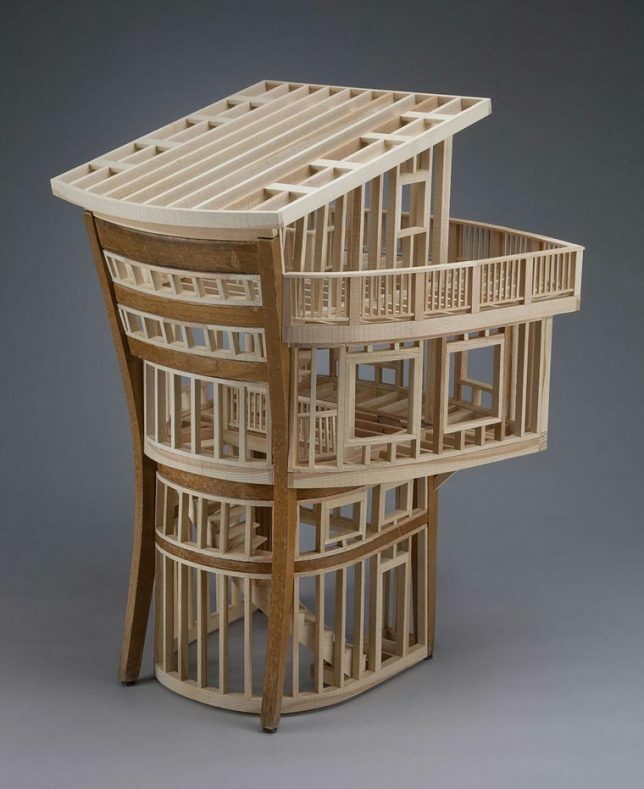 Wooden stools and chairs act as the structural basis for tiny timber-frame buildings by artist Ted Lott. 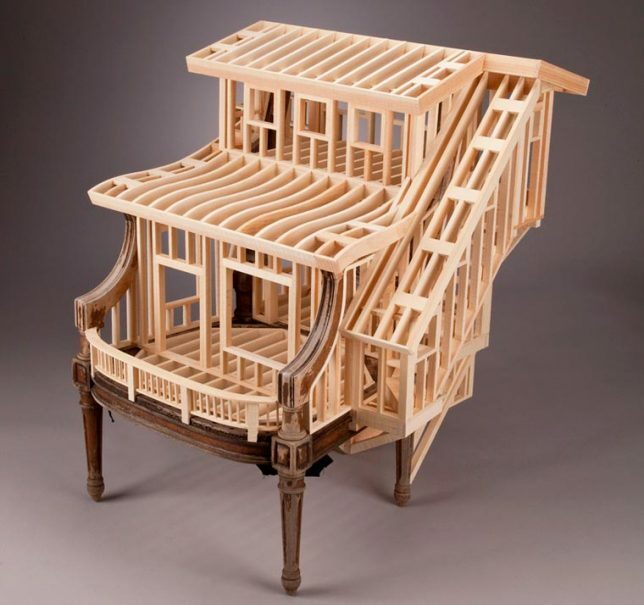 Using found furniture and pine, the artist re-contextualizes stick frame construction, adapting it to the curves of the base object in works that are remarkably skeletal. 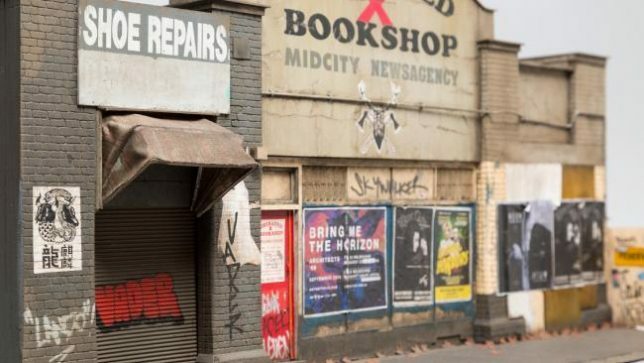 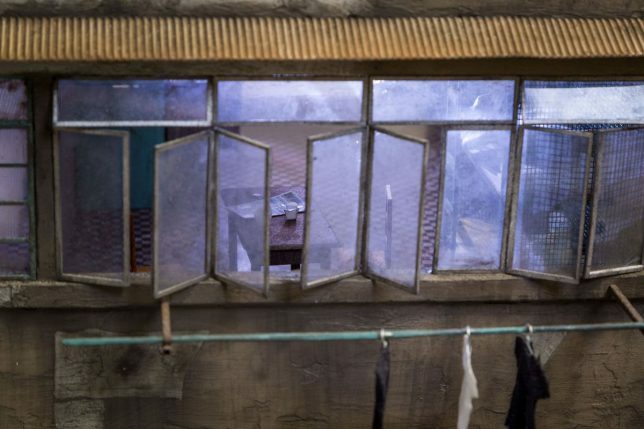 Every last detail on Joshua Smith’s incredible architectural models looks aged, weathered and utterly realistic, from peeling paint and stained awnings to graffiti and posters wheat pasted onto the walls. 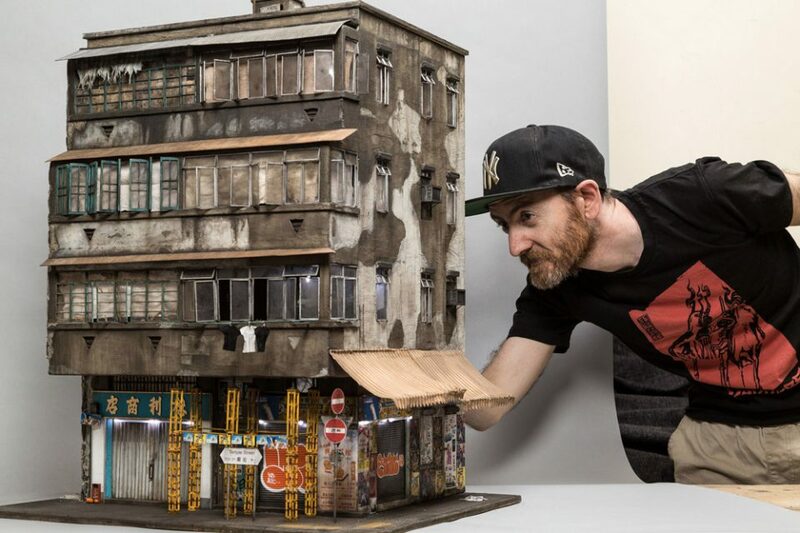 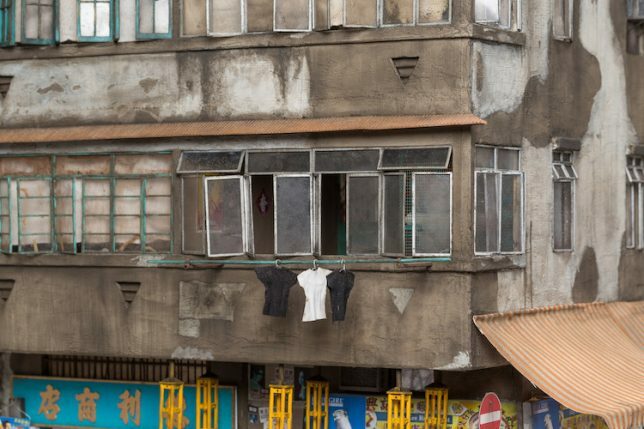 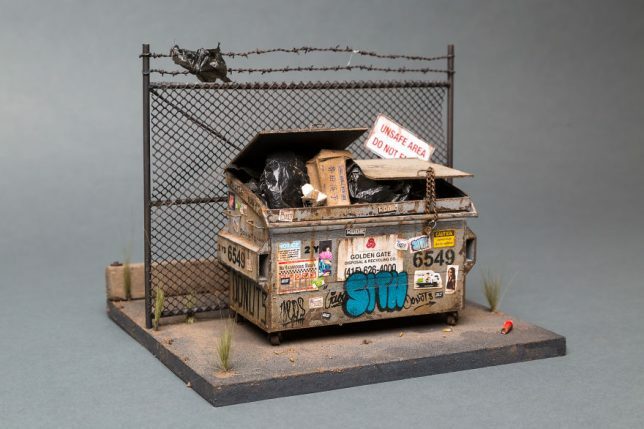 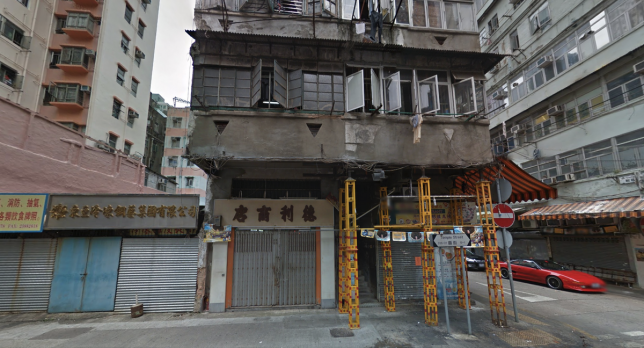 The artist finds real-life urban buildings to use as a starting point and crafts everything from trash bags in a dumpster to Chinese takeout on tiny rooftop dining tables, from the restaurant on the bottom floor.